All information is subject to change without notice. Call before visiting each location. 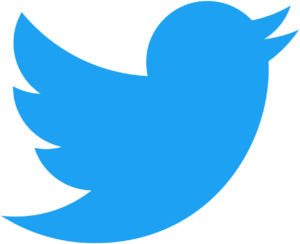 The listings were last updated in April 2018 and the map was last updated in November 2017. 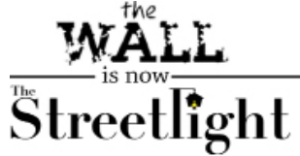 To submit a suggestion for a new listing or change, please email thestreetlightnewspaper@gmail.com. The Rescue Mission of Trenton is the capital city’s sole shelter for all individuals experiencing homelessness. Photo by Jared Kofsky/The Streetlight. 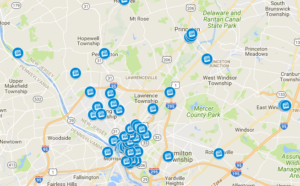 Click here to view a map of resources in and around Trenton, New Jersey. Amani House: 518-520 Martin Luther King Jr. Blvd., Trenton, NJ. Transitional housing (24 single adult males between the ages of 18-65). Call for appointment. Tel. (609)-393-3168 ext. 13. Anchor House, Inc.: 482 Center St., Trenton, NJ. (609) 396-8329. 24-hour program for runaway, homeless, and at-risk youth ages 10-17. Anchor House Shelter, school Outreach Program, (609) 396-8329. Anchorage Transitional Living Program, (609) 989-1625. Anchor Link Street Outreach Program, (609) 218-5630. Anchor Line, (609) 218-5630. Better Community Housing Trenton – Doorway to Hope: 827 East State St., Trenton, NJ. (609) 396-5579. Emergency shelter for homeless families in an apartment setting for up to 90 days. Escher Street SRO & Transitional Housing: 50 Escher St., Trenton, NJ. (609) 392-4599. Single Occupancy Rooms for single men and women (Project Specific Section 8); Transitional Housing for single men (26 beds) and women (8 beds). SRO accepts transitional housing clients and walk-ins. Referred by Mercer County Board of Social Services or New Jersey Department of Corrections. HomeFront New Jersey Family Campus: 101 Celia Way, Ewing, NJ. (609) 989-9417 Emergency Shelter, Transitional Housing, and Permanent Housing are available. Rescue Mission of Trenton: 98 Carroll St., Trenton, NJ. (609) 695-1436. Emergency overnight shelter: day center, meals and clothing for single adults Housing: Transitional Housing; Rooming and Boarding House; Permanent Supportive Housing Other Services: Adult education, job training, thrift store, and courtesy store. United Progress Inc. – Emergency Shelter: 56 Escher St., Trenton, NJ. (609) 392-2822 and Fax: (609) 392-3215. Providing 22-bed transitional housing service for single homeless males of Mercer County. Accepting transitional housing referrals from Mercer County Board of Social Services. Arm in Arm: 123 East Hanover St., Trenton, NJ. Open Monday – Thursday 9:30 am –12 pm. 48 Hudson St., Trenton, NJ. Open Monday – Thursday 9:30 am – 12 pm. 61 Nassau St., Princeton, NJ. Open Monday, Wednesday, Thursday 1:30 pm – 4pm and Tuesday 1:30 pm – 7 pm. (609) 396-9355. Food pantry, emergency financial assistance (rent, utilities, security deposit, mortgage) for low income families and individuals in Mercer County. Pantry visits require photo ID and proof of Mercer County address. Bethel Seventh Day Adventist Church: 203 Hillcrest Ave., Trenton, NJ. (609) 393-2224. Open third Sunday of the month 8 am – 12 pm. Bethel World Outreach Ministries International: 931 Martin Luther King Jr. Blvd., Trenton, NJ. (609) 956-9228. Community dinner Wednesday nights 5 pm – 6:30 pm. Catholic Charities Community Food Pantry: 132 N. Warren St., Trenton, NJ (609) 394-8847 ext. 2504. Open Mondays, Tuesdays, and Thursdays from 9 am – 12:30 pm. Concerned Citizens of Ewing Inc. Food Pantry: 320 Hollowbrook Dr., Ewing, NJ. (609) 882-0856. Open Monday through Friday from 9:30 am – 1:30 pm. First Baptist Church of Princeton: John Street & Paul Robeson Pl., Princeton, NJ. (609) 924-0877. Dinner Tuesday from 5 pm – 7 pm. First Haitian Church of God Food Pantry: 1501 Greenwood Ave., Trenton, NJ. (609) 695-3708. First Presbyterian Church of Hightstown: 320 North Main St., Hightstown, NJ. (609) 448-0055. Rise to the TASK Community Supper on Mondays from 4 pm – 5:30 pm. Supper on Thursdays from 4:30 pm – 6 pm. Hamilton Township’s Bromley Neighborhood Civic Center: 1801 East State St, Hamilton, NJ. (609) 587-8100. Open Tuesdays from 9:30 am – 11:30am and Thursdays from 3 pm – 4 pm. Hamilton Township’s J. O. Wilson Neighborhood Center: 169 Wilfred Ave, Hamilton, NJ. (609) 393-6480. Open Mondays from 10 am – 12pm, Wednesdays 1 pm – 3 pm. Holy Apostles’ Episcopal Church: 1040 Yardville Allentown Rd., Yardville (Hamilton Township), NJ. (609) 208-0228. Dinner Tuesday, 5pm – 6:30 pm. HomeFront Pantry: 1880 Princeton Ave., Lawrenceville, NJ. (609) 989-9417. Open Tuesdays 12 pm – 8pm, Mondays and Thursdays 9 am – 5 pm. Jerusalem Baptist Church: 150 N. Clinton Ave., Trenton, NJ (609) 394-9816. Third Saturday of a five Saturday month and the first Saturday of a four Saturday month. 11:30 am – 1 pm. Call for details on other services. Lutheran Church of the Redeemer Food Pantry: 189 South Broad St., Trenton, NJ. (609) 396-2411. Last Thursday of month. Opens at 8 am on a first come first serve basis. Meals on Wheels of Mercer County: 320 Hollowbrook Dr., Ewing, NJ. (609) 695-3483. Provides nutritious meals to homebound individuals throughout Mercer County. Medallion Care Behavioral Health: 1 Electonics Dr., Suite 105, Hamilton, NJ. (609) 586-0766. Lunch Monday – Friday from 12 pm – 1 pm. Mercer Street Friends: 824 Silvia St., Ewing, NJ. General inquiries: (609) 396-1506. Food Bank inquiries: (609) 406-0503. Mount Carmel Guild: 73 North Clinton Ave., Trenton, NJ. (609) 392-3402. Operates a food pantry Mon-Fri between 9:30 am – 11:30 am and 1:30 am – 3:30 pm. New Covenant United Methodist Church: 1965 South Broad St., Trenton, NJ. (609) 393-4725. New Hope Church of God: 400 Hamilton Ave., Trenton, NJ. (609) 393-3293. NJ Conference Adventist Community Services Center: 2160 Brunswick Cir., Lawrenceville, NJ. (609) 392-7131.
month. 5:30 pm – 7:30 pm. Princeton Deliverance Center: 301 Southard St., Trenton, NJ. (609) 392-9161. Wednesday (not 1st of month). 12:30 am – 1:30 pm, Friday 9 am – 12 pm. Princeton United Methodist Church: 7 Vandeventer Ave., Princeton, NJ. (609) 924-2613. Free community dinner, Wednesdays 5 pm – 6:30 pm. Resurrection Lutheran Church Food Pantry: 4315 Nottingham Way, Hamilton, NJ. (609) 586-3355. Rise Food Pantry: 225 Franklin St., Hightstown, NJ. (609) 443-4464. Open for limited food distribution on Monday through Wednesday from 9 am – 12pm Please call the office for requirements and information. Sacred Heart Church: 343 S. Broad St., Trenton, NJ. (609) 393-2801. Soup Kitchen: 4th Sunday lunch from 12:30 pm – 2:00 pm. Food Pantry: 3rd Tuesday of the month. 2 pm – 6 pm. Samaritan Baptist Church: 531 Dr. Martin Luther King Blvd., Trenton, NJ. (609) 393-0016. Saturday 9 am – 11:30 am. South Trenton Area Soup Kitchen: Within First Baptist Church, 128-140 Centre St., Trenton, NJ. (609) 393-8810. Monday, Tuesday, Wednesday Dinner from 4 pm – 5:30 pm. St. James AME Church: 413 Summit St., Trenton, NJ. (609) 448-7855. Community dinner, Wednesdays 5 pm – 6:30 pm. St. Mary’s Cathedral (Loaves and Fishes Food & Soup Kitchen): 151 N. Warren St., Trenton, NJ. (609) 396-8447. Last two Saturdays of the month. Lunch is 11 am – 2 pm. The Food Center at Morrisville Presbyterian Church: 771 N. Pennsylvania Ave., Morrisville, PA (215) 295-4191. Trinity Episcopal Cathedral Food Pantry: 801 W. State St., Trenton, NJ. (609) 392-3805. Food Pantry. Every other Saturday from 9 am – 11 am. Services via the Trenton Area Soup Kitchen are also available. Trenton Area Soup Kitchen: 721/2 Escher St., Trenton, NJ. (609) 695-5456. Mon. – Fri. lunch from 11 am – 1pm; Monday – Thursday dinner from 4pm-5:30pm. Call for other services. Turning Point United Methodist Church: 15 S. Broad St., Trenton, NJ. Dinner served / Food Pantry. 3rd Sun. 1 pm – 3 pm. Trinity United Methodist Church of Bordentown City: 339 Farnsworth Ave., Bordentown (Burlington County), NJ. (609) 298-0158. Dinner is served Tuesdays from 5 pm – 6:30 pm. United Progress, Inc.: 162 West State St., Trenton, NJ. (609) 392-2161. Monday, Tuesday, Wednesday and Friday 9 am – 12 pm. West Trenton Soup Kitchen: Within Trinity Episcopal Cathedral. 801 W. State St., Trenton, NJ. (609) 392-3805. Thursday Dinner, 5 pm – 6:30 pm. Catholic Charities Behavioral Health Services: 10 Southard St., Trenton, NJ. (609) 396-4557. Integrated behavioral health and physical health services. Capital Health Medical System at Hopewell: 1 Capital Way, Hopewell Township, NJ. (800) 637-2374. Clinics, Medicaid, Medical Care, General Acute Medical Care. Capital Health Regional Medical Center: 750 Brunswick Ave., Trenton, NJ. (609) 396-6722. Mental Health Crisis Assistance. Accepts Medicaid and Medicare. Henry J. Austin Health Center (Main): 321 North Warren St., Trenton, NJ. (609) 278-5900. Offers fast track, pediatrics, adult medicine, OB/GYN care, social services, podiatry, eye care, behavioral health care, dental services, HIV and Hepatitis C testing and treatment. Have ID. Accepts Medicaid, Medicare. Monday through Friday 8am – 5 pm and Saturday 9am – 1pm. Henry J. Austin Health Center (Chambers) 317 Chambers St., Trenton, NJ. (609) 278-5900. Adult Medicine and other services. The satellite centers are open Monday through Friday 8:00 am to 5:00 pm. Appointments are encouraged. Henry J. Austin Health Center (Ewing Street) 112 Ewing St., Trenton, NJ. (609) 278-5900. Adult Medicine and the above services and dental care. Open Monday through Friday 8:00 am – 5:00 pm. Appointments are encouraged. New Horizons Treatment Service, Inc.: 132 Perry St., Trenton, NJ. Appointment: (609) 394-8988. Provides an array of medical, clinical and special services, i.e. substance abuse treatment, detoxification, methadone maintenance, methadone detoxification. Mon-Fri 6am-8pm. Accepts Medicaid, WorkFirst NJ, and self-pay. Oaks Integrated Care: 31 Lexington Ave., Ewing, NJ, 609-583-1900. 1001 Spruce St. Suite 205, Trenton, NJ, 609-396-6788. 1320 New Willow St., Trenton, NJ, 609-396-8877. 314 East State St., Trenton, NJ, 609-396-4258. 2550 Brunswick Pk., Lawrenceville, NJ, 609-396-8877. Linkage to mental health services, medical services, entitlements and housing. Call for appointment. Oxford House: 1065 River Rd., Ewing, NJ. (301) 587-2916, Toll Free: (800) 689-6411. Halfway houses to transition from rehab to independent living for individuals. 741 Mount Lucas Rd., Princeton, NJ. (1-800) 242-2550; (609)- 497-3347. Intensive outpatient, partial hospitalization. Accepts Medicaid, Medicare. Planned Parenthood: Trenton Center – 437 E. State St., Trenton, NJ, (609) 599-4881. 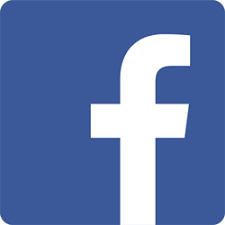 Hamilton Center – 2279 State Hwy 33, Hamilton, NJ., (609) 689-4964. Services: Abortion Services, Birth Control Services, Emergency Contraception, General Health Care, HIV Testing, LGBT Services, and more. 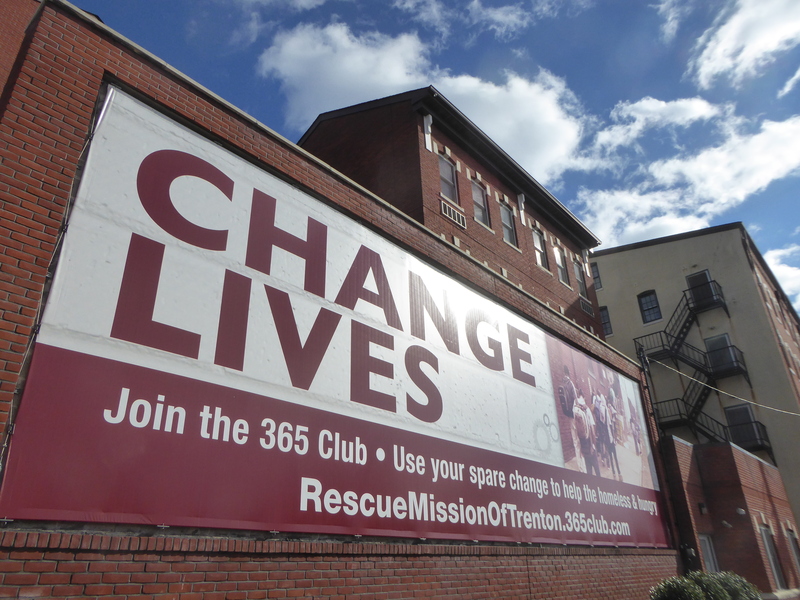 Rescue Mission of Trenton: 96 Carroll St., Trenton, NJ. (609) 393-3533. Residential and Outpatient Treatment for addictions and co-occurring disorders. Robert Wood Johnson Hospital at Hamilton: One Hamilton Health Pl., Hamilton, NJ. (609) 586-7900. Clinics, Medical Care, General Acute Medical Care Accepts Medicaid, Medicare. St. Francis Medical Center: 601 Hamilton Ave., Trenton, NJ. (609) 599-5000. Clinics, Medical Care, General Acute Medical Care. Accepts Medicaid, Medicare. The Salvation Army’s Trenton Adult Rehabilitation Center: 436 Mulberry St., Trenton, NJ. (609) 503-5124. Trenton Department of Health and Human Services – Clinical Services: 218 N. Broad St., Trenton, NJ. (609) 989-3242. Health Promotions and Clinical Services; Health Incentive Program for Women (HIP4W), Children’s Health Services. Trenton Treatment Center (Part of United Progress, Inc.): 56 Escher St., Trenton, NJ. (609) 392-2822. Trenton Treatment Center offers residential (for men only) and outpatient programs for those addicted to drug and alcohol. Accepts referrals, client walk-ins, and uninsured Mercer County residents. University Medical Center of Princeton at Plainsboro: 1 Plainsboro Rd., Plainsboro (Middlesex County), NJ. (609) 853-7000. Clinics, General Acute Medical Care. Accepts Medicaid, Medicare. Womanspace: 1530 Brunswick Ave., Lawrenceville, NJ. (609) 394-9000; (800)-572-SAFE. Emergency services designed to assist victims of domestic violence and sexual assault immediately following the initial crisis. Spanish-speaking staff available. A Better Way: 65 Prospect St., Trenton, NJ. (609) 392-1224. Specializes in mentoring, re-entry & gang reduction. Arm in Arm: 123 East Hanover St., Trenton, NJ. 48 Hudson St., Trenton, NJ. 61 Nassau St., Princeton, NJ. (609) 396-9355. Food pantries; emergency financial assistance (rent, utilities, security deposit, mortgage); workforce development, and driver’s license restoration assistance. Catholic Charities – Emergency & Community Services: 132 N. Warren St., Trenton, NJ. (609) 394-8847. Provides support related to housing, food and mental health. CEAS (Coordinated Entry and Assessment Services) Center: 509 Perry St., Trenton, NJ. (609) 989-3722. Monday-Friday 8:30 am – 4:30 pm. 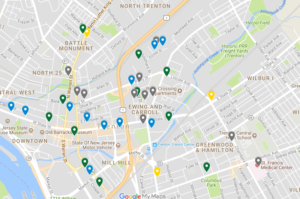 Operated by the City of Trenton, this center strives to provide services like housing, identification, and information about benefits eligibility. Central Jersey Legal Services, Inc.: 198 West State St., Trenton, NJ. (609) 695-6249. Will discuss legal issues with individuals, landlord/tenant or issues and will make appointments. Call for appointment (9 am – 4:30 pm). 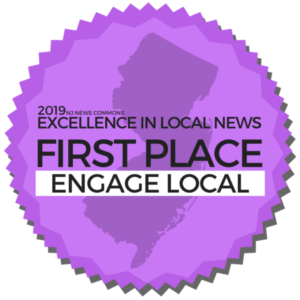 Child Care Connection: 1001 Spruce St., Suite 201, Ewing, NJ. (609) 989-7770. Resource and Referral agency assists families in their search for quality child care and provides access to child care subsidy funds. Monday, Tuesday, Wednesday, Friday 9 am – 5 pm., Thursday 9 am – 6 pm. City of Trenton – Health & Human Services: 319 E. State St., Trenton, NJ. (609) 815-2160. Can provide emergency assistance for back rent, first month rent for the homeless and/or at-risk homeless, assistance for Senior Citizens, and other services from its City Hall office. Community Health Law Project: 225 East State St., Suite 5, Trenton NJ (609) 392-5553. Discusses legal questions with those with disabilities. Offers a low-cost fee-for-service legal service program. Will make appointments. Community Justice Center: 310 West State St., Trenton, NJ (609) 218-5120. Encouraging the empowerment, resiliency and rights of those struggling with disabilities by providing the essential ingredients of legal education, outreach, advocacy and representation. Will discuss legal questions with veterans and disabled and will make appointments. 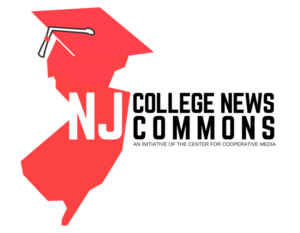 Community Options, Inc.: 16 Farber Rd., Princeton, NJ (609) 951-9000. Provides housing and employment services for individuals with disabilities. Helping Arms: 50 Escher St., Trenton, NJ. (609) 396-7500. Provides counseling, employment placement services, housing and other social services to low income people, and operates a prison re-entry initiative in Trenton. Referrals from Dept. of Corrections. HomeFront: Administrative Offices at 1880 Princeton Ave., Lawrenceville, NJ. (609) 989-9417. Homelessness prevention (rent/security); permanent service-enriched affordable housing; food pantry; FreeStore; Furnish the Future. Monday – Friday 9am-5pm except Tuesday 12 pm – 8 pm. Housing Initiatives of Princeton: 11 Mercer St., Princeton, NJ. (609) 252-1572. Serves individuals experiencing homelessness or in danger of experiencing homelessness in order to assist with finding affordable housing and resources. Mercer Alliance to End Homelessness: 1001 Spruce St., Ewing Township, NJ. (609) 599-9762. Not a direct service provider, but works alongside other Mercer County agencies and organizations to aid people experiencing homelessness. Mercer County Board of Social Services (MCBOSS): 200 Woolverton St., Trenton, NJ. (609) 989-4320. Complaint Line: (609) 989-4400. Social Services: (609) 989-4451. Assistx individuals with General Assistance, Temporary Assistance to Needy Families, Supplemental Security Income and other services. M-F, 8:30 am – 4:30 pm, T 8:30 am – 8:30 pm. Can call or walk-in. Mercer County Clerk’s Office: 240 W. State St., Floors 6 and 7, Trenton, NJ. (609) 989-6494. IDs- Voter registration forms, Mercer County photo ID, passport. Monday – Friday 8 am – 4 pm; Wednesday until 6:45 pm. Walk-ins accepted. Mercer County Connection: 957 Route 33, Hamilton, NJ. County ID card and passport services. Mon, Wed, Fri. 10am – 6pm. Tuesday & Thursday, 10 am – 8 pm. Saturday, 10 am – 3 pm. Walk-ins accepted. Mercer County Department of Housing and Community Development: 640 S. Broad St., Trenton, NJ. (609) 989-6858. Provides heating/cooling assistance, first-time homebuyer assistance, residential rehabilitation assistance, and affordable housing. M-F 8:30 am – 4:30 pm. Mercer County Department of Human Services: 640 S. Broad St., Trenton, NJ. (609) 468-8296. Mercer County Office on Aging: 640 S. Broad St., Trenton, NJ. Information for Seniors (877) 222-3737, (609) 989-6661. Mercer County Office for the Disabled: 640 S. Broad St., Trenton, NJ (609) 989-6663. Mercer County Veterans Residence: 2280 Hamilton Ave., Hamilton NJ. (609) 989-6120. (Must apply in advance). New Jersey Department of Labor One-Stop Career Center 26 Yard Ave., Trenton, NJ. (609) 989-6200. Offers workforce readiness services and career resources. Referrals from MCBOSS, unemployment. Walk-ins accepted. (Monday-Friday), 8:30 am –5pm, Tuesdays, 8:30 am – 8:30pm. Opportunities for All: 1701 S. Broad St., Hamilton, NJ. (609) 394-7013. Training and employment opportunities to a diverse group of job seekers. Specializes in working with applicants with disabilities. Rise – A Community Service Partnership: Main Office, 116 N. Main St., 2nd Floor, Hightstown, NJ. (609) 443-4464. Providing case management to individuals in the East Windsor/Hightstown area. Main office is open: Monday through Friday 9 am – 4 pm. Closed for lunch from 1 pm – 2 pm daily. assistance in applying for SSI and SSDI. Call or walk-in. Trenton Area Soup Kitchen: 72 1/2 Escher St., Trenton, NJ. (609) 695-5456. Hot lunch and dinner; adult education; computer classes; job search assistance. Monday to Friday Lunch from 11:00 am – 1:00 pm; Monday to Thursday Dinner from 3:30 pm – 5 pm. Ujima Urban Women’s Center: 1001 Pennington Rd., Ewing, NJ. (609) 882–2098. Providing compassion, advocacy, and training to women residing in Trenton and surrounding areas. Call for Appointment. U.S. Department of Veterans Affairs Trenton Vet Center: 934 Parkway Ave. Suite 201, Ewing, NJ. (609) 882-5744. U.S. Department of Veterans Affairs Hamilton Outpatient Clinic: 3635 Quakerbridge Rd., Hamilton, NJ. (609) 570-6600. General Medicine for veterans. U.S. Department of Veterans Affairs Homeless Intervention Program: Hotline is intended to assist homeless Veterans and their families, VA Medical Centers, federal, state and local partners, community agencies, service providers and others in the community (1-877) 4AID VET (877-424-3838) (National). 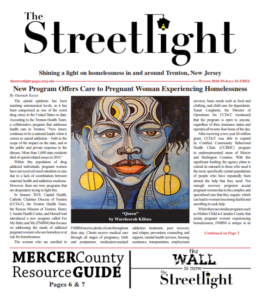 Click here to view the Summer 2018 edition of The Streetlight. 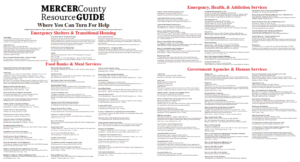 The Mercer County Resource Guide can be found on pages 6 and 7. To find out where to obtain a physical copy of the newspaper and resource guide, click here. A standalone resource guide is coming soon. If you would like to get involved, please email thestreetlightnewspaper@gmail.com.